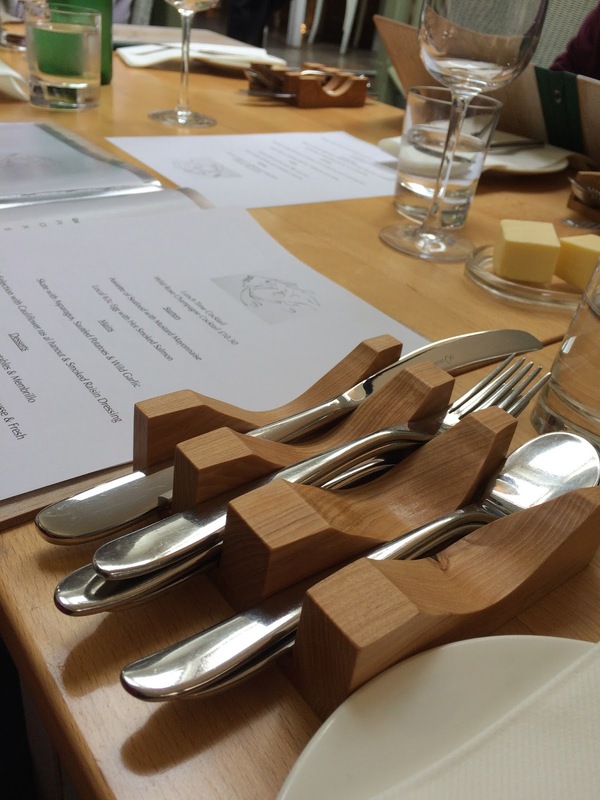 'Im in the Garage was asked by the owner of a restaurant if he could make some bespoke cutlery holders. No particular design was given only that they should not look like wooden boxes, rather that the cutlery should fit snugly into small compartments. This is the result and we went to the restaurant for a meal a couple of weeks ago to see them in use. These are very beautiful pieces! - and I can see their application in smart restaurants. 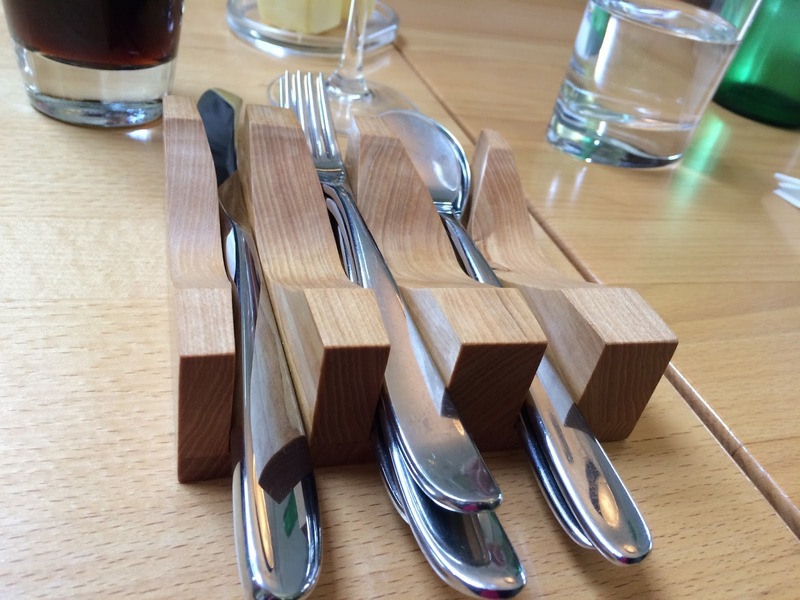 Just hope that diners won't inadvertently put dirty cutlery into the holders! It was a posh restaurant Michelle and the only one to have them - well so far! What a lovely idea, good being able to pick your own 'weapon'. 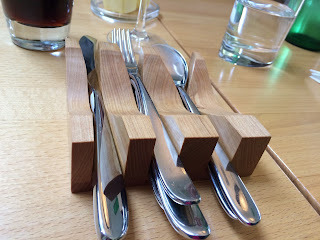 I love the use of natural wood, shame we don't use it more often. Hope you enjoyed your meal. Were you treated to it???!!! It was a fantastic meal and no we were not treated! Wow, good job. I bet they're a talking point in the restaurant too. Yes they have become a talking point and the owner will pass on any prospective clients our way. Interesting concept, beautiful design, gorgeous wood! Beautiful workmanship, as usual! Very unique concept, and they look very elegant! Does the waiter/waitress put the silverware by the plate as each course is served? Saves worrying about which utensil to use and when! Yes that is what happens Kathy, apparently that solves the problem of laying the table to begin with and making sure the right pieces are used. Thanks for the reply! All kinds of problems are solved with this idea! By the way - Happy Birthday! Hope you had a great day! We were lucky that the rain held off for all the 4th of July events in my 'old hometown'. So glad the traditional parade and fireworks are still going strong after 70 years! Of course, the USA is celebrating 240!